Ken Ware, the founder of Ken Ware NeuroPhysics Therapy, maintains a constant Research and Development strategy, collaborating with world leading laboratories. 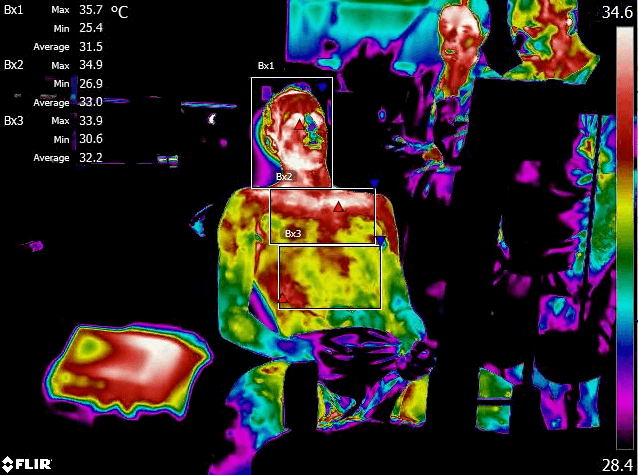 With the assistance of state-of-the-art Electro Psychophysical Technologies, Thermal Imaging Technology and sophisticated Gait Analyses Technology, Ken Ware and his colleagues are able to assess and validate the positive psychophysical transitions a persons system accomplishes through Ken Ware NeuroPhysics Therapy. Ken Ware NeuroPhysics Therapy founder Ken Ware was recently selected to be on the scientific committee and gave a keynote presentation titled; “The significant outcomes and rationale of exploiting chaos in the Central Nervous System – to accelerate functional rejuvenation of the lesioned spinal cord” at ‘The International Conference on Neurology and Brain Disorder, Rome, June 4-6 2018. Kiefer, A. & Ware, K. (2016). Innovative Nonlinear Analysis Methods for Uncovering Informative Physiological Transitions during Neurophysics Therapy: An Empirical Journey from Datapalooza to SCTPLS 2016. Symposium presented July 30, 2016 at 25th International Conference of Society for Chaos Theory in Psychology & Life Sciences, 30-31 July. University of Utah, Salt Lake City, UT, USA. Ware, T., Kiefer, A., & Ware, K. (2016). NeuroPhysics Therapy as a Potential Approach for Prevention of Epileptic Seizure: A Preliminary Analysis. Paper presented July 30, 2016 at 25thInternational Conference of Society for Chaos Theory in Psychology & Life Sciences, 30-31 July. University of Utah, Salt Lake City, UT, USA. Ware, K., Ross, S.N., & Popov, V. (2013). The body’s nonlinear genius: Cases of serious disabilities dramatically improved by the same neural dynamics therapy. 26 July. 23rdInternational Conference Society for Chaos Theory in Psychology & Life Sciences, 25-27 July. Portland State University, Portland, OR, USA. Ware, K. (2012). 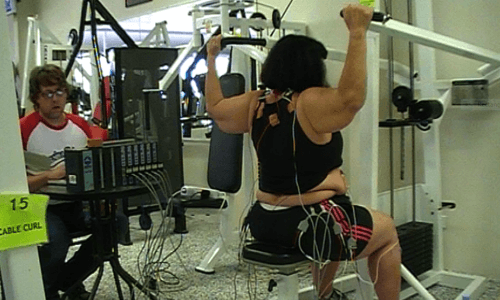 The influences a person’s posture has on nonlinear metabolic activity, emotions and their perception of the environment, and core strength vs. complexity. 26 July. 22nd International Conference Society for Chaos Theory in Psychology & Life Sciences, 26-28 July. Johns Hopkins University, Baltimore, MD, USA. Ware, K. (2011). Control of chaos in the human nervous system to restore physical and emotional integrity. 15 April. Wiring The Brain: Making Connections Conference, 12-15 April 2011. Powerscourt, Co. Wicklow, Ireland. Ware, K. (2011). Controlling chaos in the human nervous system. 13 May. Advances in Applied Physics and Material Sciences Congress, 12-15 May. Antalya, Turkey. Ware, K. (2011). Observing the emergence of and the control of chaos in the human nervous system and “chaotic protean evasion.” 6 August. 21st International Conference of Society for Chaos Theory in Psychology & Life Sciences, 4-6 August. Chapman University, Orange, CA, USA. Ware, K. (2010). Control of chaos to enhance creativity and physical/emotional performance and stability through super slow resistance exercise. 16 March. 4th International Nonlinear Sciences Conference, 15-17 March 2010 University of Palermo, Palermo, Italy. Ware, K. (2010). Controlling chaos in the human nervous system. 23 March. 20th International Conference of Society for Chaos Theory in Psychology & Life Sciences, 22-24 July 2010. Texas State University, San Marcos, TX, USA.